Furthermore, I am also available as a guest lecturer in school or university settings. 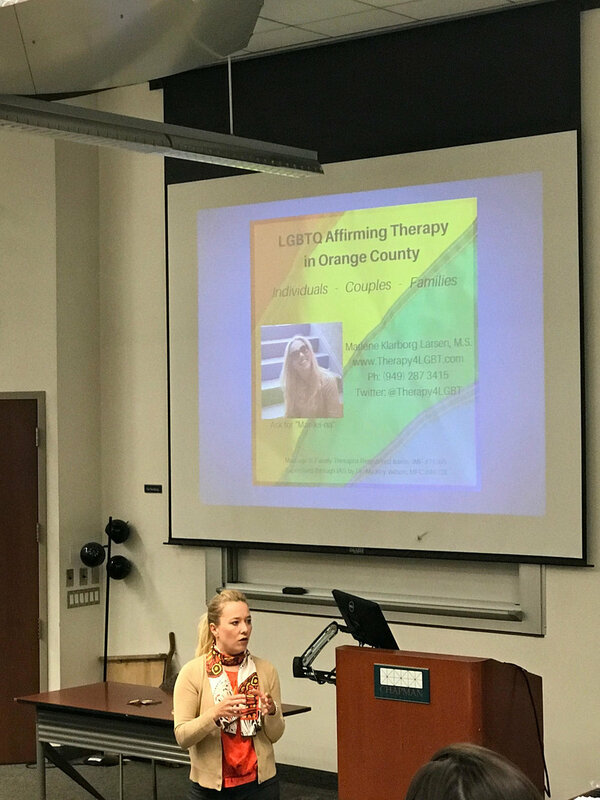 For example I have presented on the LGBTQ part of both "Human Sexuality" and "Family & Relationship" classes at Chapman University as well as for Intensive Outpatient Programs, Organizations and Corporations. I can cater my talks and presentations to your courses such as psychology, counseling, social work, human relationship, sexuality etc. 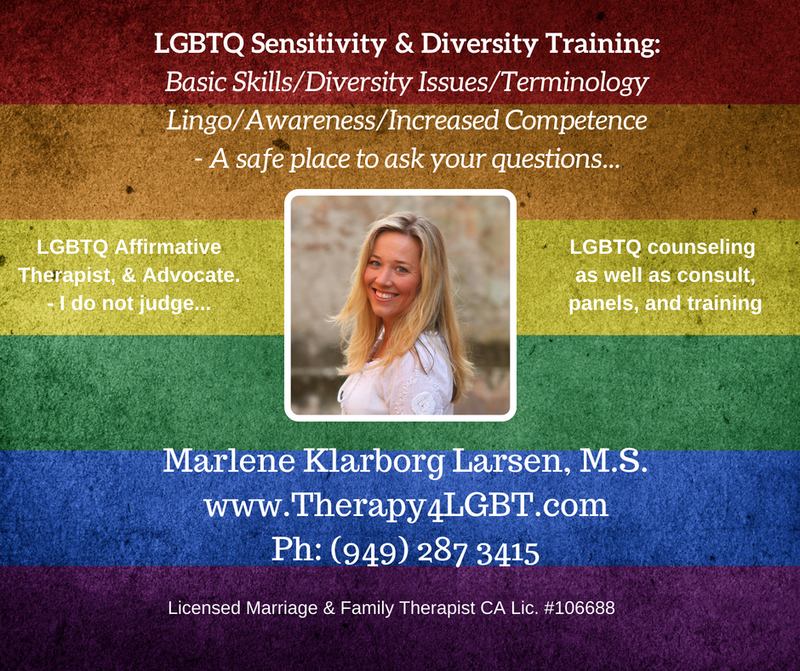 I also offer training and consultation for mental health professionals and corporations working with the LGBTQ community. 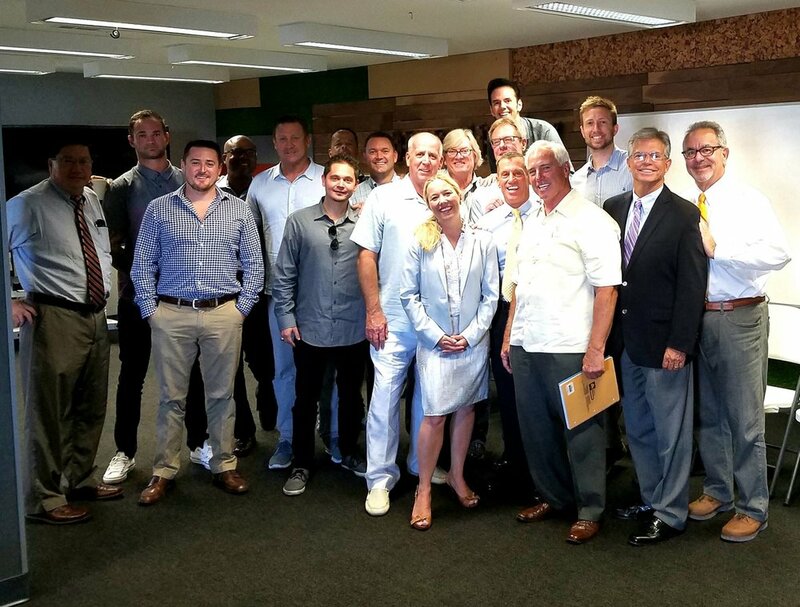 If you have questions, concerns or don't know how to navigate working with a client - or would like to know more - call me to schedule a consult (949) 287 3415. Stressed out being an intern or professional in private practice or contemplating entering into a private practice setting? I have been there - I get it! Call me today (949) 287 3415 to learn more about how I can help.